Obituary for Bob Johnston | In Memoriam Funeral Services Inc. 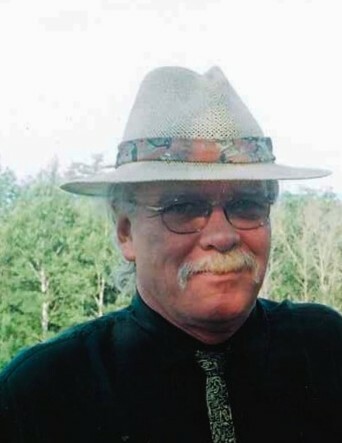 Passed away suddenly at his home in Orangeville on March 23rd, 2019, in his 69th year. Leaving to mourn his wife of 31 years Mona Boone-Johnston, son Travis, twin sister Barbara (Peter)Tanguay, sister Dianne (predeceased by his brother-in-law Dave) Lippert, predeceased by mom Peggy Johnston. Bob loved his family and friends dearly and treasured his time with them. He will be sadly missed by many. Cremation has taken place at In Memoriam Funeral Services Inc.
A casual Celebration of Life will be held to honor Bob on May 5th, 2019, 1:00 p.m.-4:00 p.m, Royal Canadian Legion Br. 442, 12 Dundas St. E, Erin, ON, N0B 1T0. There's still time to send flowers to the Celebration of Life at the Erin Branch 442 - Royal Canadian Legion from 1:00 PM to 4:00 PM on May 5, 2019.